Splendor is a fantastic board game. It is easy to learn, has outstanding components, is quick to play, and is lots of fun. Many have put Splendor into the same category as perennial favorites like Settlers of Catan or Ticket to Ride. It is no wonder that Splendor, at times, has been proclaimed the quintessential “gateway” game for introducing friends and family to the world of modern board games. 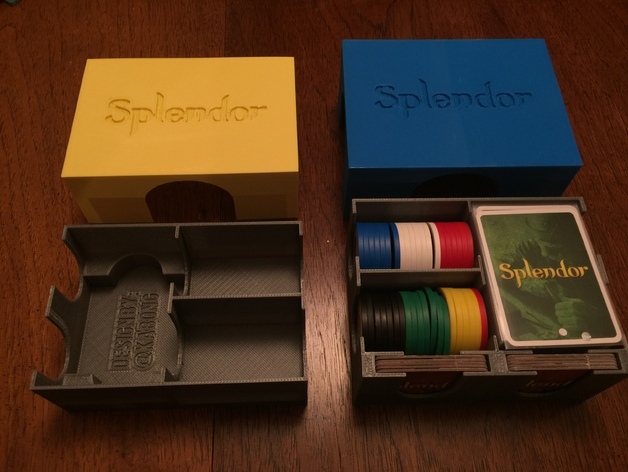 While Splendor is a top-notch game, the same can not be said for the box it comes in. If you try to store the box vertically, the insert fails to keep the components in place. Also, the box is significantly bigger than necessary. These problems make it difficult to transport the game, which means you’ll be less inclined to bring it along to share the joys of modern board gaming with friends and family. The good new is lovers of the game have devised solutions to these problems. 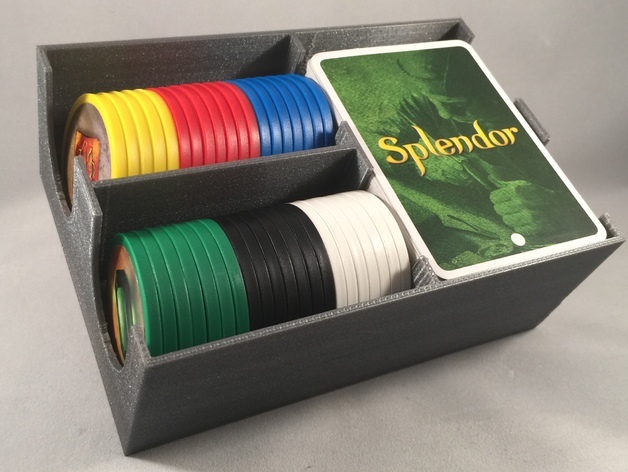 My favorite Splendor storage solution was created by Thingiverse user “Kabong.” His elegant panacea consists of a 3D printed case that securely houses all the components in a container that takes up about 3/5ths the space of the original box. As you can see from the image gallery, this storage container is both practical and elegant. 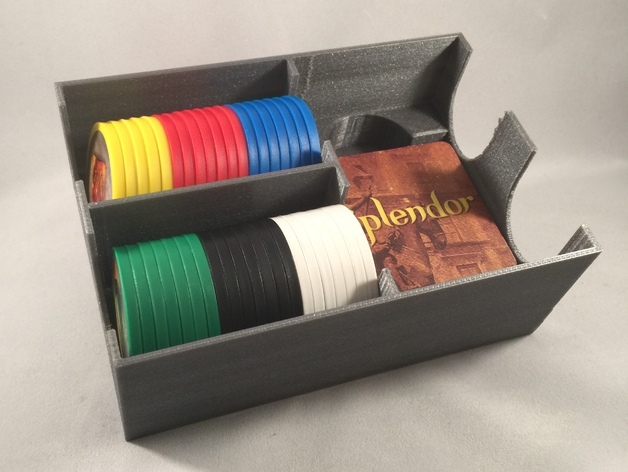 Further, Kabong has designed and provides the print files for three different boxes: one that accommodates the cards as they come in the box; one for those who prefer to sleeve their cards; and one for players who own the bonus noble tiles. He also notes that you can use a box or "h" band to keep the lid on tight for transport. If you are interested in one of Kabong’s boxes but don’t have a 3D printer, don’t fret: your local library may have a printer for public use. If you still can't get access to a 3D printer you can go to Kabong's Etsy shop here. If you have an alternative solution for storing Spendor, I’d love to hear about it in the comments below.